Just about every day, I get an email from someone who is wide-eyed and excited about being a new DJ… and also completely lost about how to go about doing it. They want to get started, but it’s intimidating. One of the toughest times for a DJ, is right at the start of their journey. It can be a lot to take in: what exactly is the DJ doing? What is their role? How did they find an audience? What do I need? These DJs quickly find out that simply showing up at parties, and banging out some killer tunes, is not enough to cut the mustard. There’s more to the craft (and the business) than that. What Is Your Purpose For DJing? There are many different types of DJs, and they all fulfill different roles. The resident DJ at a local nightclub or bar has a job to do: to keep the dance floor moving (and the drinks flowing). Each venue has a different audience and feel, which means that the DJ must adapt to fit what is appropriate to that context. Some people are interested in this type of recurring gig, and love all of the social benefits of interacting with everyone on a weekly+ basis. But, some people are interested in something completely different… say, turntablism. In this scenario, the idea is to perform or be an exhibitionist… chopping and blending together a live creation on the spot. The list goes on. There are wedding DJs, Radio DJs, festival DJs… etc. And many of them work in multiple spaces. Unfortunately, I’ve noticed a tendency for newcomers to assume their own idea of “DJ” is the only one that exists. For the uninitiated, it can be confusing to paint all kinds of DJs with one brush. The key is to find out what YOUR goal is. What is my goal for this time next year? What am I doing today that gets me closer to those two goals? The path to a fulfilling DJ career is not typically forged at gig one, or gig one hundred. I’ve observed a disappointing amount of young DJs who are primarily motivated by the thought of instant fame, and overnight success. This works out approximately none of the time. And for those of us who love sharing the music more than they love the fame (one might call them Passionate DJs…), overnight success would be fairly useless. The knowledge and intuition of a great DJ is not formed in a week, or a month. It’s created little by little, gig by gig. Don’t view those early, low-attendance gigs as failures. Each and every gig is an opportunity to learn, but only if you’re paying attention. If you are playing a show with only 5 people on the dance floor, give those 5 people the time of their life. This is your opportunity to experiment with crowd-reading in a very focused way. For anything worth having, the price is always work. Put it in. Take some time to think about what kind of sound represents you as a DJ, and as a person. What message, if any, are you trying to convey through your music? What defines your sound? Now, plan out a new mix to record. Don’t use anything from your existing music collection. Seek out inspiring music you’re not familiar with, and figure out how to turn it into one cohesive recording. Find yourself a bit lost while mixing? Paralyzed when it comes to deciding which track to play next? Having trouble finding that next killer tune? Sometimes, less is more. Start a new “crate” (whether that’s a physical crate, USB stick, Traktor playlist, etc.) which will henceforth be known as Your Music Collection for DJing. This may be just the reboot you need. If you’re feeling really saucy, actually remove the unused music from your hard drive/collection, and congratulate yourself for having commitment! There’s always someone out there who is doing it better than you or me! It’s amazing what you can learn, simply by the power of careful observation. 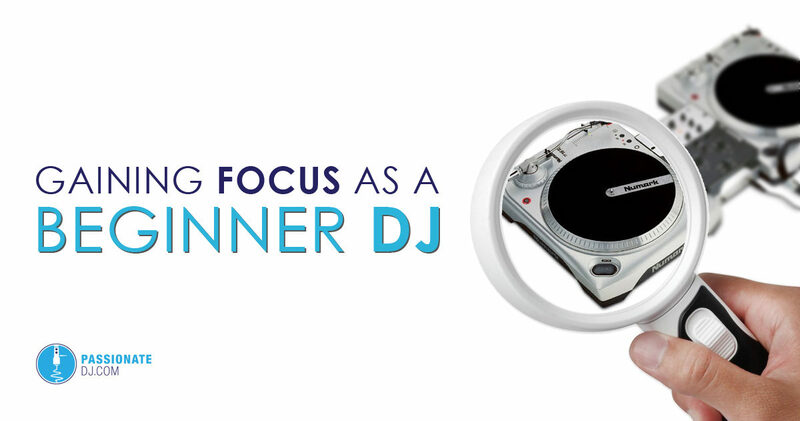 Keep an eye on successful DJs, and see what makes them successful. Watch those mesmerizing scratch DJs and determine why their hands are doing what they are doing. Watch the successful promotion outfits in your area, if there are any. What kind of acts are they booking? How do they present themselves? What do DJs have to say about them? If you have access to someone who has a lot of relevant knowledge, it’s usually worth tapping in to that knowledge. Not every DJ is willing to actively take someone under their wing to teach them the ways of mixing, but that doesn’t mean you can’t look to them as an example. Some of my “distant mentorships” have even evolved over time into something greater. Writing your DJ bio causes you to think about your musical history, your direction, and your purpose for DJing by its very nature. Sometimes, just getting it on “paper” can be extremely helpful. What is it I want to do? How do I want people to perceive me? Why am I a DJ? Oh, and if you need some help with this one, I’ll help you write your bio step-by-step. Take some time to make your DJ area (whether that’s a table, booth, stack of milk crates, or what-have-you…) a place that you enjoy being. Make sure nothing important is a strain to reach. Remove clutter and other distractions. Live in the moment while mixing. Listen intently. Design your layout around a workflow that makes sense for you, and the way you mix. Try different things… you might be surprised that you like it. A friend of mine found that he likes both CDJs to the right of his mixer, this way. Subscribe to the Passionate DJ Podcast, where we strive to become better DJs together through passion and purpose. How to Become a DJ: A Beginner’s Guide, which has helped thousands of new DJs get their start. Finally, sign up for the Passionate DJ VIP List, where you’ll receive a steady dose of tips, stories, and inspiration straight to your inbox!